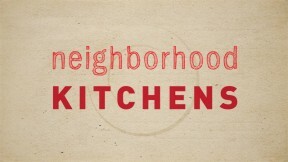 Neighborhood Kitchens is a television series about the exploration of culture through food. Every week the show offers a unique window into immigrant communities in New England. In each episode, host Margarita Martínez visits a different ethnic restaurant and learns three delicious recipes from the chef. She also explores the restaurant’s neighborhood, discovering hidden gems along the way. Join her as she learns about new ingredients, new cultures, and new neighborhoods. ¡Hasta pronto!